The Neighborhood Cooperative Nursery School (NCNS) is an independent preschool program for children ages 3-5. They are a parent-led cooperative preschool dedicated to helping each child develop in his or her unique way. They are located below the sanctuary. Winchester School of Chinese Culture is a 501(c)(3) non-profit organization whose mission is to teach the language and traditional culture of China through classroom instructions, the arts, and cultural events and to promote and engage in cultural exchanges and civic activities to develop and sustain community-school partnerships. They hold a weekly after-school program and an all day summer camp at our church. Boy Scout Troop 503 has been sponsored by the First Congregational Church since 1903! They meet Tuesday evenings in Chidley Hall. The Winchester Foundation for Educational Excellence (WFEE) headquarters is located on the 3rd floor. Since 1992 WFEE has provided private financial support to Winchester’s children in order to foster innovation and excellence in teaching and learning. Family Action Network hosts a toddler playgroup on Wednesdays, 10-11:30 AM, in the Palmer Room. They follow the Winchester Public School’s calendar so they don’t meet during vacations, the Summer, or snow days. The Winchester ABC (A Better Chance) house is our neighbor, and uses our church hall for family dinners and Special Events. Rev. Dr. Ken Orth offers pastoral psychotherapy and spiritual direction as part of his affiliation with us. 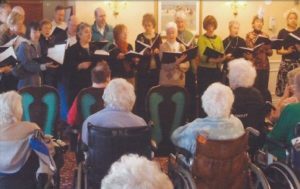 Sounds of Grace is a hospice choir, started by member Lynne Rahmeier. 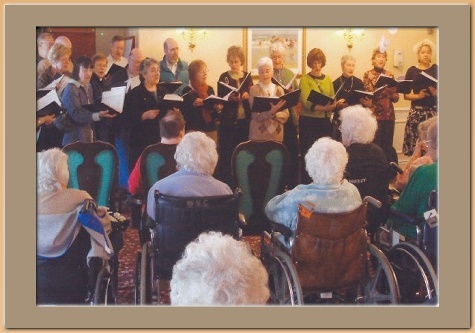 Their mission is to provide beautiful music to those in hospice or palliative care in group or private homes and to draw singers from all faith traditions, ages, races, and experiences, thereby reaching out to the broader care community and encouraging dialogue about a caring and conscious approach to dying. They rehearse in the Tucker Room on Sundays from 4:00-5:30. 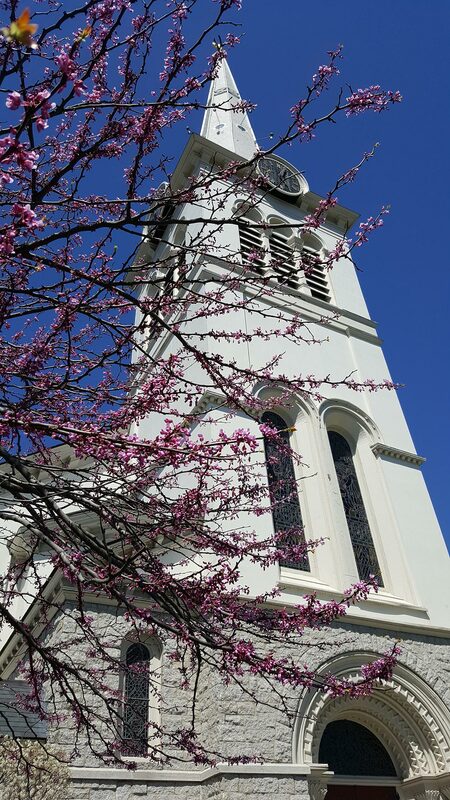 Winchester Got Lunch (WGL) is a collaborative community effort of Winchester faith-based organizations, schools, businesses and civic groups. 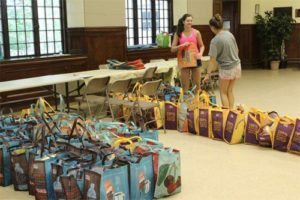 WGL provides nourishing lunches during the summer for students who rely upon subsidized school-year lunches. During the summer school break, WGL volunteers meet once a week in Chidley Hall to purchase food, pack lunch bags containing enough healthy food items to prepare lunches for five days for a child, and deliver the bags directly to each participant’s home.